The Golden Knights were in a peculiar spot at the trade deadline this season. They were the reigning Western Conference Champions who believe they upgraded the team in the offseason, they were also firmly entrenched in a playoff position and had as good a shot as anybody in the West to make another run. However, they were mired in the worst slump in franchise history, the magic of the inaugural season appeared to have worn off, they still viewed themselves as a new franchise without a bevy of prospects in the system, and they struck out mightily at the deadline a year ago. That led to speculation ranging all the way from trying to make the blockbuster, to sitting still and doing nothing, to even selling and focusing on the future like they were supposed to be doing last year. 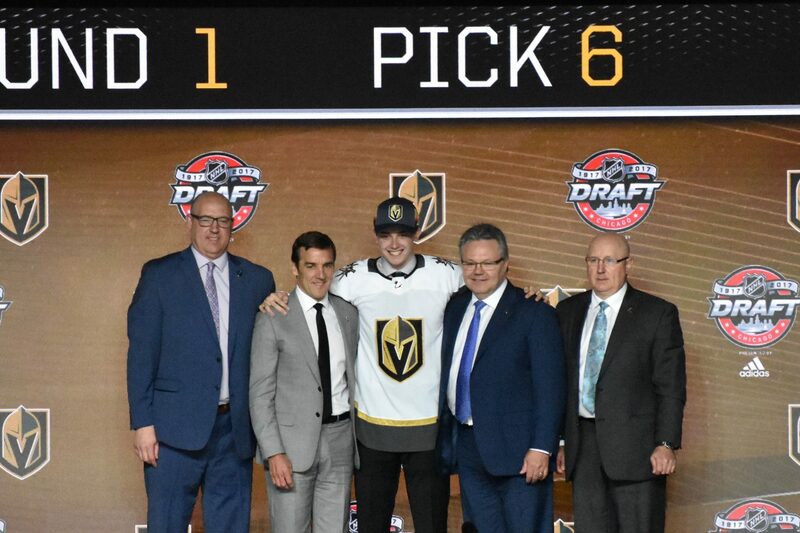 The fact of the matter was, all options were truly on the table for George McPhee, and he had to choose the right one. 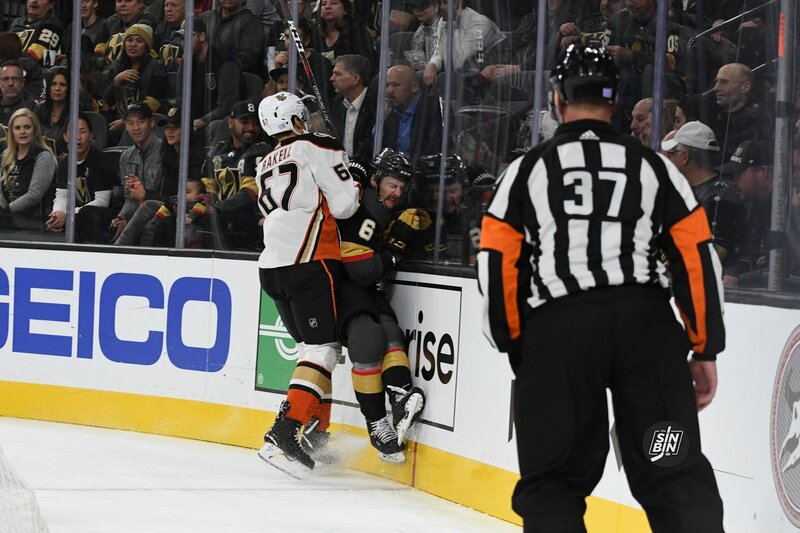 In the end, we know how the story goes, they made the biggest splash at the deadline not only acquiring Mark Stone but signing him to a mega-extension keeping him here through 2027. However, behind the scenes, it looked a bit different. McPhee says he didn’t think the Golden Knights were going to do anything. Then things changed on deadline day, he saw we he thought was a bargain and he went for it. Obviously, McPhee and his staff had ideas of what they would like to do, but as few as 12 hours before the deadline, he wasn’t sure any of it was actually going to come to fruition. As the deadline approached though, Plan A ended up not being the only bargain that may have cropped up. The company line out of Vegas is that George McPhee is not interested in taking on players without term left on their contract. However, one has to ask if maybe McPhee is missing out on a trade market by not maximizing the draw of his home market. The Golden Knights have only been around for two years, and just one offseason, but every unrestricted free agent in that offseason went on record saying they wanted to come back. Multiple free agents from other markets made it clear they wanted to play in Vegas, and Max Pacioretty couldn’t stop gushing about the city when the trade was completed to bring him here. McPhee’s unwillingness to bring in a rental makes sense for the long term future of the team. Giving up an asset for a guy to be with the team for two or three months isn’t a wise move for a budding franchise. However, a rental could easily turn into a long-term (or even shorter term) deal for the Golden Knights just by getting the player in the door. Rentals are cheap compared to players with term. Might it be wise for McPhee to pay the bargain price for a player like a Marcus Johansson, Kevin Hayes, or Micheal Ferland and then bank on the city of Vegas to seal the deal of locking them into an extension? There’s no doubt it’s risky and bold, but isn’t that what this team was built on in the Expansion Draft, and even more so, isn’t that the entire point of Las Vegas? Plus, buying the rental helps to avoid the Tomas Tatar situation. If the player Vegas acquires doesn’t work, you let him walk and aren’t on the hook for years of salary. Again, I understand where McPhee’s coming from, but it’s certainly something to think about as the deadline approaches and the prices come down. Say McPhee is indeed out on rentals. So, no Panarin, Stone, Johansson, Ferland, Simmonds, Nyquist or any other UFA. Let’s take a look at some of the other options that could be on the table. One of William Karlsson’s best friends in the hockey world, the 24-year-old is a Gallant type player. He’s defensively sound with the ability to create scoring chances for teammates. At the Expansion Draft, the Blue Jackets went above and beyond to protect Wennberg, but having a down season and needing to free up some money to try and re-sign Matt Duchene and Ryan Dzingel (and maybe Panarin and Bobrovsky) they could use some cap freedom. Wennberg has been held out of each of the last two games so the price may be at its lowest ever. Vegas turned around one Blue Jacket center, maybe they can do it again. Any time a Capital comes available you have to think McPhee is interested. Burakovsky was a 1st round pick by McPhee in the 2013 Draft and simply hasn’t found a home in the Washington lineup. He’s having the worst season of his career, but there’s no questioning the talent and skill level he possesses. He helps fill Vegas’ age gap and the cost shouldn’t be too prohibitive. Washington is without its 2020 2nd round pick, Vegas has a trio of them. Might they be able to start there? The Rangers are clearly in a fire sale, everything must go. They acquired Namestnikov at the deadline last year in the Ryan McDonough deal but he hasn’t fit in well in New York. With the Rangers rebuild still probably a few years away, Namestnikov could be an unrestricted free agent before they are ready to win. The Golden Knights have another Russian player they are trying to lure over from the KHL, Nikita Gusev, and having a third Russian might help the transition. The Rangers want picks and prospects, and it shouldn’t take a 1st to get this done. A former top-liner for Gerard Gallant, McPhee may be willing to take on the added salary if he’s able to get Huberdeau for a bargain price. Florida only has its own picks in 2020, so Vegas’ extra 2nds could come in handy to pull this one off. If Florida is interested in Colin Miller, this one could really have legs. Deal or No Deal? Should The Golden Knights Make A Move? From Feb. 1 through Saturday night, there had been 20 trades consummated in the NHL. The Golden Knights were not a participant in a single one of them. The trade deadline is 24 hours away. And it begs the question: What will George McPhee do? Will he make a major move? Will he make a couple of small deals? Will he stand pat? You can make an argument for any of the above and have a valid point. My gut is telling me he is listening about participating in a big deal, one that perhaps could have multiple teams involved. Whether he takes action, only he knows. He doesn’t share his thoughts with me, though sometimes it would be nice to have a general philosophical conversation with GMGM about hockey and take his temperature on various topics surrounding the game in general and his team in particular. But that’s not his style. So that leaves me to guess what I think he’s going to do, which is a dangerous, and most likely, inaccurate game. A week ago, I proposed making a serious run at Ottawa forward Mark Stone, the team’s leading scorer. 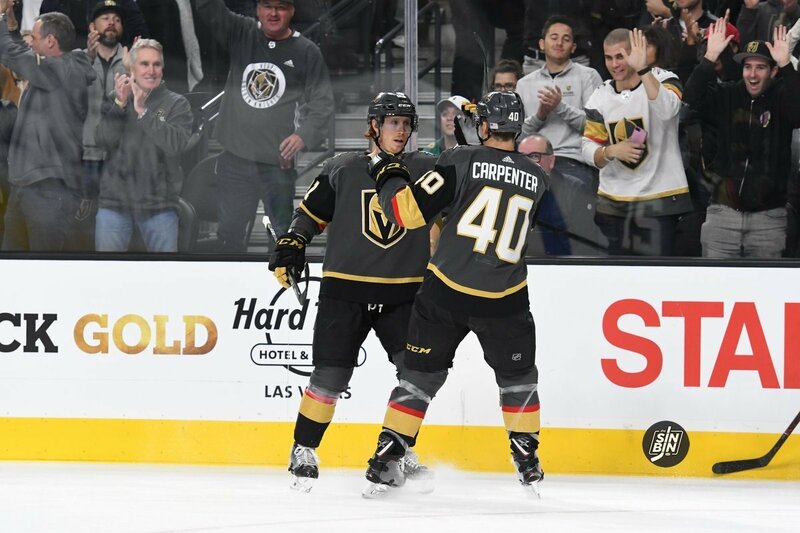 I cited several reasons why Stone should be McPhee’s target with the caveat being he has to have a guarantee Stone would agree to a long-term deal to play in Vegas. No rentals here. As of this morning, Stone was still with the Senators while Matt Duchene and Ryan Dzingel are no longer in Ottawa, both having been dealt to Columbus in separate trades. I have no doubt Sens GM Pierre Dorion is going to demand a ton for his best remaining player and the price may simply be too steep at this point for the Knights. But if you’ve watched this team perform the past three weeks, it’s not just scoring that they need or a boost to its anemic power play. The defense has struggled, particularly Colin Miler and Brayden McNabb. 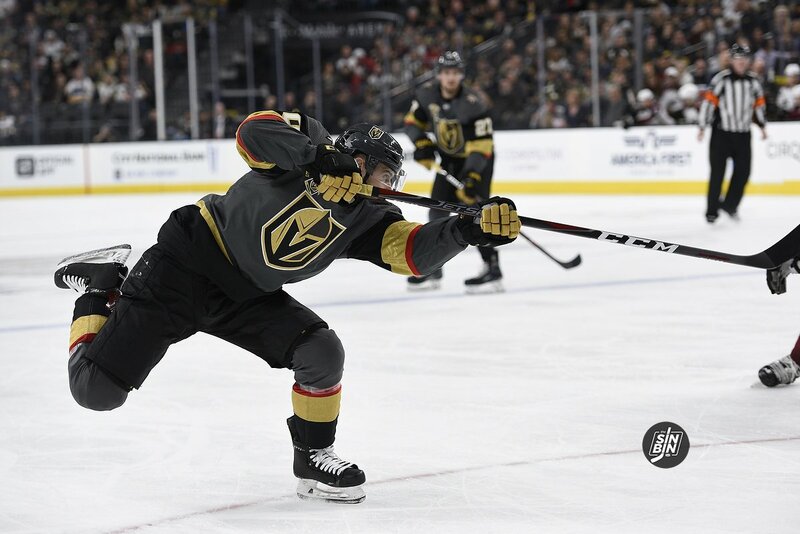 McPhee watches the same game we all do and while he may view things through a slightly different prism, he no doubt sees some sketchy play from his blue line corps and perhaps his attention may be shifting from looking to trade for some scoring to shoring up his defense. He has been quoted recently that he likes this team the way it is currently constructed and that when they are playing the right way, the Knights are a very good hockey team. But the reality is Vegas has not been on the right side of things lately. They were on Feb. 16 when they dominated Nashville, 5-1. They played O.K. 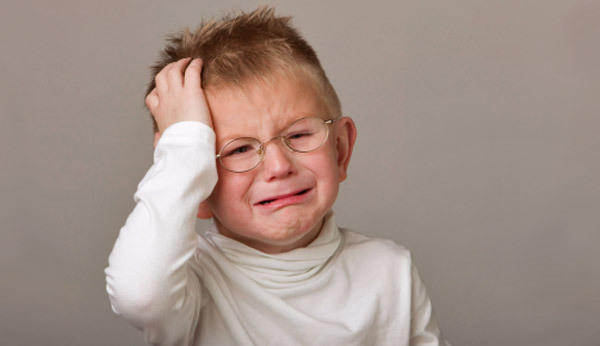 in losing to Boston in a shootout last Wednesday, 3-2. Like restless fans, ESPN Insider Rob Vollman is getting prepared for the trade deadline. He ranked NHL general managers most likely to make a late-season deal. To no surprise, Golden Knights GM George McPhee made Vollman’s list. The numbers show McPhee is rather active when it comes to trades, averaging 2.8 per season and 1.6 per year actually on deadline day. Vollman notes McPhee isn’t known for blockbusters around the trade deadline, but this is uncharted waters for an expansion team. Somehow McPhee will try to balance this season’s success and the future of the franchise. No doubt the Vegas brass will be making some difficult decisions before February 26th. Adding fuel to the fire were comments by James Neal’s agent to Ed Graney of the Las Vegas Review Journal. Patrick Morris (1), agent 2 @jneal_18 : “I don’t negotiate in public, but if the Feb. 26 trade deadline comes and goes, I will be shocked if James is on another team. No other team has called me and said they are close to acquiring James. I think it’s full steam ahead for Vegas. More Morris (2) on @jneal_18 : "If we could agree to terms for him to (remain with the Knights) we would welcome that. He loves it there. James went into the (Vegas situation) with his eyes wide open. He has more than done his part." 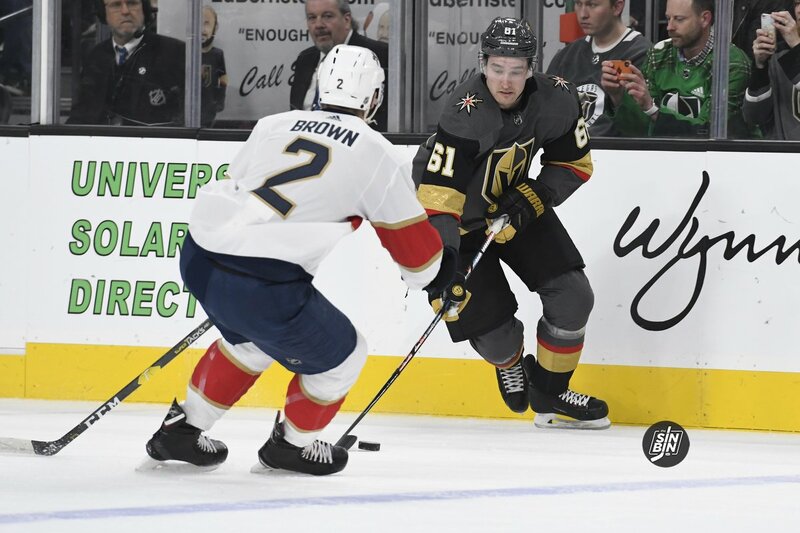 It’s the million dollar question for the Golden Knights who remain atop the Pacific Division and the Western Conference halfway through the season. The plan coming in was likely to sell, and sell hard, at the February 26th trade deadline. Then 41 games were played, the Golden Knights lost just 12 of them, and now the landscape looks a bit different. 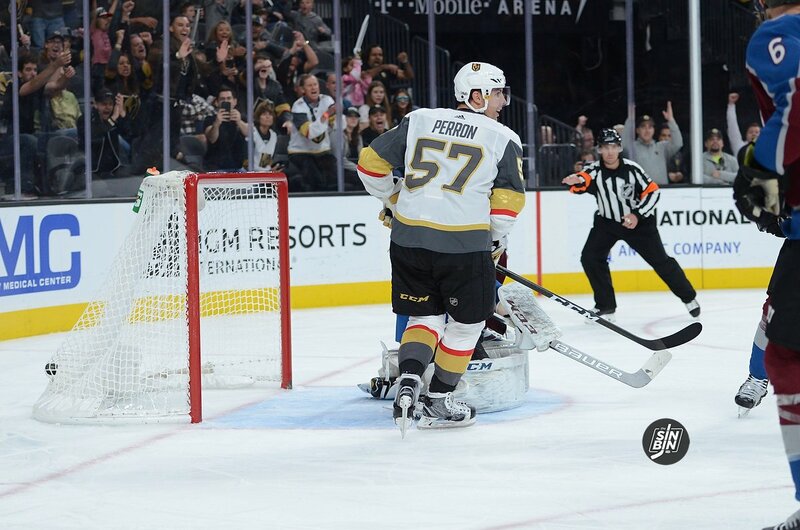 In the early afternoon on March 1st, the day of the NHL Trade Deadline, The Creator’s money cleared and the Vegas Golden Knights officially became the 31st franchise in the NHL. They were free to make moves, George McPhee could attend the GM meetings in Boca, and the Golden Knights were to be treated like any of the Original 30 teams. Big deal, right? Not so much apparently. 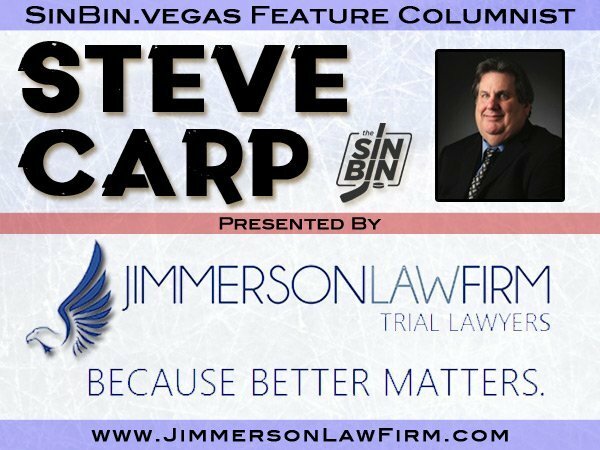 Speaking on The Vegas Hockey Hotline (begins at 31:20), the AGM said the only importance it really had was that it was a nice moment for the owner. He wouldn’t talk about deals that were made and didn’t seem to believe the Reid Duke signing was affected by the timing of the final payment either. There’s really no reason to doubt McCrimmon and McPhee on their description of the final payment, but there’s still a part of me that wonders why The Creator specifically said it would not get done in time for the deadline, then magically made it happen just minutes before the league closed trading for the year. If there was truly no significance, why would the league have taken time out of arguably the busiest day on the calendar to deal with paperwork with a team not playing a game until October? There has to be a reason it happened, unfortunately, I doubt we’ll ever know. Last week on with our friends at The Vegas Hockey Hotline, George McPhee discussed his thoughts on the trade deadline. At the time the payment wasn’t official so McPhee couldn’t get into specifics but Brian asked him a question about motivation to make a trade. McPhee seemed to be a strong advocate of making deadline moves even if the general manager didn’t necessarily think a deal was needed. It makes complete sense with the length, body stress, and travel of a 82 game season, players seemingly assume extra help to push them towards the finish line. Other teams need to break up the trending slide of a disappointing season. Montreal forward Brendan Gallagher joined TSN Montreal this week to explain the emotions players go through during the deadline period. Gally told TSN the trade deadline can be fun to pay attention to. The pesty Canadian sounded like a fan sitting around on the couch all day watching NHL Network. He was excited his team made deals to bring Steve Ott and Brendan Davidson to Montreal. Clearly, McPhee and Gallagher are on the same page. The GM is aware players are expecting something to get done. It sounds like a good way to motivate a team late in the season. Which is why we should expect deadline deals annually in Las Vegas. In Washington, McPhee engineered 15 deadline trades, and two midseason deals. That’s 17 straight years McPhee added players to his roster during the season via trade. I can only assume he’ll use that same strategy with the Golden Knights roster. We can expect McPhee to make deals regardless of Vegas’ standings in the Western Conference playoff race. Next year especially, when they likely aren’t headed to the Cup Finals, building for the future will include assets McPhee accrues making trades with contenders. The old fax machine that receives official trade paperwork has officially thrown in the towel. Hopefully, the 90’s Brother fax machines have been donated and the NHL is fully state-of-the-art. Maybe it’s so modern, that a hologram Gary Bettman accepts each deal with team GMs. If that’s the case, poor hologram Bettman must be tired from filing deadline trades. Some moves are headline grabbing like the Capitals going all in on Kevin Shattenkirk, while most of the others are page fillers. Some trades could’ve confused hologram Bettman, even Vlade Divac wouldn’t have traded a highly rated prospect like Jonathan Dahlen for Alex Burrows. Questionable trades or not the league still has to confirm the transactions. Also, over the past few days the Vegas Golden Knights have effected some minor moves that don’t get headlines. Small deals and extensions that only Vegas GM George McPhee would react to. Here are two expansion impacted moves that might have gone under the radar. The first move was a rare player for player deal. Montreal shipped underwhelming center David Desharnais to Edmonton for 25 year-old defenseman Brandon Davidson. Desharnais could be the only guy who gets booed more than Bettman at the Bell Centre. The 30 year-old center has disappointed Habs fans since he signed a $14M deal. Davidson was an underused blue liner that was on his way out of Edmonton anyways. Many believed Davidson would draw attention from the Golden Knights which could’ve forced Edmonton’s hand. The move worked well for Montreal, in fact they were willing to retain 20% of Desharnais’ contract to trade for Davidson. Former QMJHL scout and analyst Simon Boisvert praised Canadiens GM Marc Bergevin but didn’t understand Edmonton’s rush. I know Davidson wasn’t gonna be protected, but Chiarelli’s move is mind-boggling. Why not wait until June? Desharnais is worth nothing. Davidson is young, cheap, and can be a good #4-5 defenseman for a few years. To clarify, not saying Davidson is a star. But he’s young and cheap, and that has value for #4-5 defenseman. And Desharnais is useless. Brandon Davidson is underrated by Habs fans. The reason why he was traded is because he was gonna be chosen by Vegas in the expansion draft.